Feedback-driven Opportunistic Access Strategies in Cognitive Radio Networks, University of California, Santa Barbara, May 2, 2010. User-Profile-Driven Dynamic Power Management on Mobile Devices, AT&T, San Roman, Apr. 22, 2010. PACE : Power Aware Collaborative Execution on Mobile Phones, Qualcomm, March 19, 2010. Resource management in wireless networks, CS Department Colloquium, UC Davis, Oct, 2009. Opportunistic spectrum access in cognitive radio networks, Microsoft Research Asia, Peking University, July, 2009. Opportunistic spectrum access in cognitive radio networks, University of Texas A&M, University of Texas Austin, University of Huston, University of Southern California, University of California, Riverside, Spring 2009. Opportunistic spectrum access in cognitive radio networks, Intel, Santa Clara, CA, July 1, 2008. On the integration gain of heterogeneous WiFi/WiMAX networks, Intel, Oregon, May 16, 2008. Optimal spectrum access in cognitive radio networks, Motorola, 2008. Optimal spectrum access in cognitive radio networks, EE, UCLA, Dec. 5, 2007. Traffic-oblivious and location-oblivious routing in wireless networks, CS, UCLA, Dec. 4, 2007. Opportunistic spectrum access in cognitive radio networks, Sprint Research Lab, Burlingame, September, 2007. Multicast capacity in wireless networks, ACM Mobihoc, Montreal, QC, Canada, Sept. 13, 2007. Non-intrusive wireless networks for Opportunistic Spectrum Utilization, WINLAB, Rutgers University, New Browswick, NJ, September 19, 2006. Non-intrusive wireless networks for Opportunistic Spectrum Utilization, Rensselaer Polytechnic Institute, Troy, NJ, September 18, 2006. Non-intrusive wireless networks for Opportunistic Spectrum Utilization, Stevens Institute of Technology, Hoboken, NY, September 20, 2006. 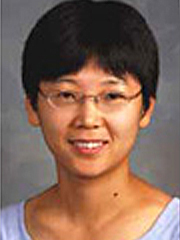 Coverage with Connectivity in Wireless Sensor Networks, Basenet, San Jose, CA, Oct. 1, 2006. Characteristics and Access in Spectrum Agile Networks”, BBN Technologies, Boston, MA, Nov. 7, 2005.